What is World Braille Day? Get ready; it’s time to celebrate World Braille Day! I’m sure you can guess that it’s a day to celebrate braille. But, you may wonder what it’s all about and why it’s worth celebrating. Well, let’s talk about that so we can spread the word and invite more people to celebrate! We celebrate World Braille Day every year on January 4th because it’s Louis Braille’s birthday. He’s the inventor of braille! Louis was born in 1809 in France and became blind after a childhood accident. But, he quickly mastered his new way of living. When Louise was only 15 years old, he created a reading and writing system based on Charles Barbier’s night writing system. We know Louise’s system today as braille. Adjusted over time, braille is now easier to read and used all over the world! Why is World Braille Day Worth Celebrating? World Braille Day is a reminder of the importance of accessibility and independence for people who are blind or visually impaired. Today’s reality is that many establishments such as restaurants, banks, and hospitals don’t offer braille versions of their print materials like menus, statements, and bills. Because of this, people with blindness or visual impairments often don’t have the freedom to choose a meal on their own or keep their finances private. World Braille Day spreads awareness about braille and other accessible forms of communication. Everyone deserves (and is legally entitled to) the same accommodations and service, regardless of ability. On World Braille Day, let’s remember that and do our part to make our workplaces more accessible for everyone. Braille literacy is also an important factor in equal opportunities for people with blindness. You can learn more about how literacy inequality affects those with a visual disability in our blog, Inequality in Literacy for People with Visual Disabilities. Unfortunately, Louis Braille didn’t get to see just how helpful his invention became. He died in 1852; two years before his alma mater, France’s Royal Institute for the Blind Youth, adopted a braille curriculum. By 1916, schools around the United States taught braille to their students with blindness. Today, Rubix cubes, watches, lego-style bricks, and other innovations are constantly changing the way the way we use braille and help increase braille literacy, too. That’s why you’ll find braille on objects you use every day — signs, ATMs, elevators, calculators, and more. It’s all thanks to Louise Braille and the schools that adopted and taught his reading and writing system. 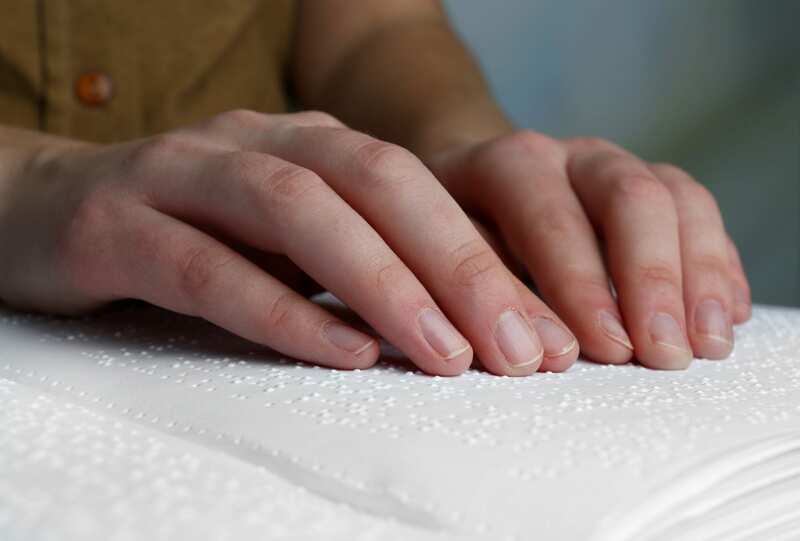 Celebrate World Braille Day with us and raise awareness by offering your documents in accessible formats like braille!